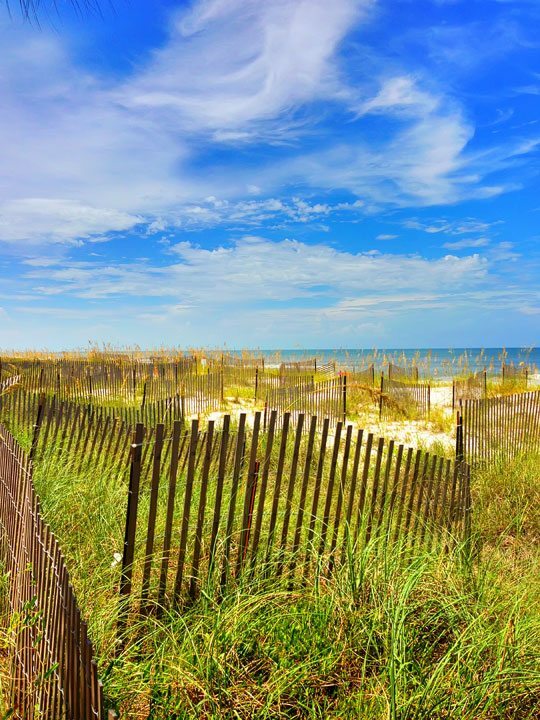 Discover a beautiful stretch of beach at Cape San Blas, Florida, with Kevin and Amanda. 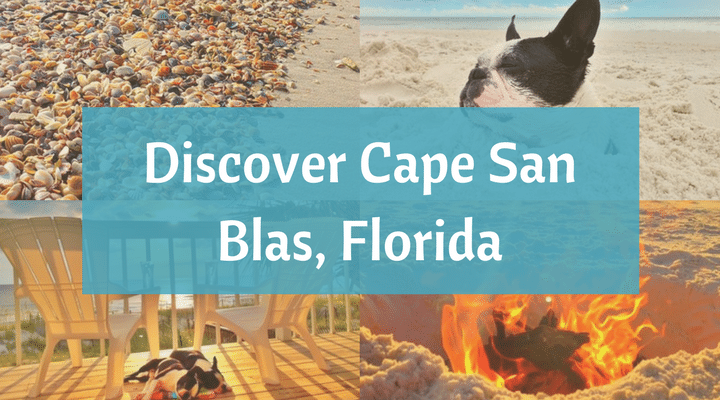 Cape San Blas is a 17-mile long barrier peninsula on the Gulf Coast of Florida. 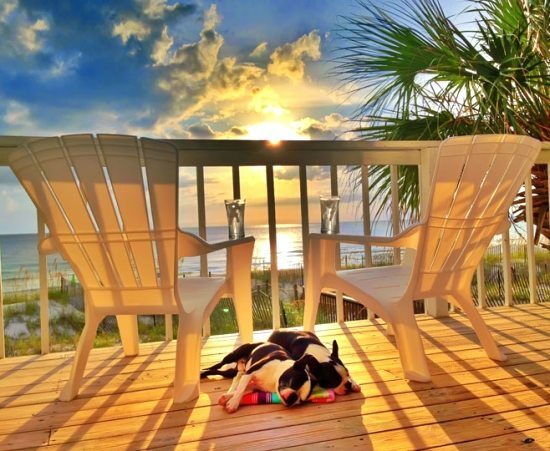 According to Kevin and Amanda, the beaches are not only gorgeous and secluded, but they are also pet friendly. 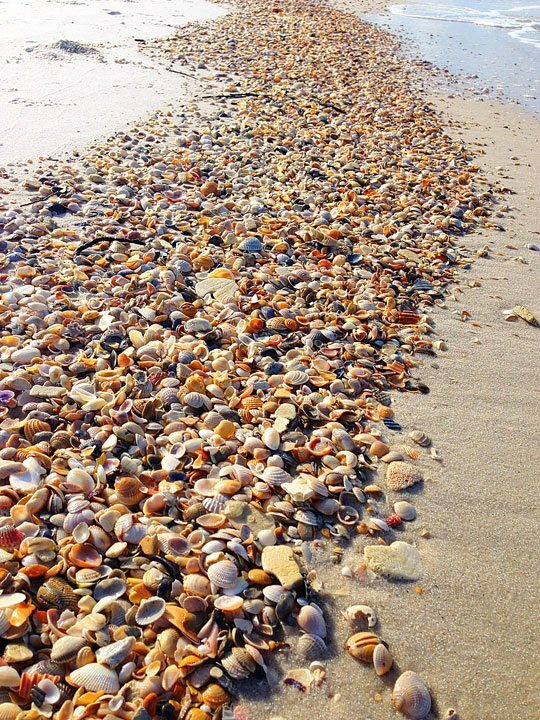 And how about the amount of shells that wash up on the sand there -it looks like Sanibel Island! They stayed at Barrier Dunes in the Pelican View Condo which was the largest complex they saw on the beach. They could watch stunning sunset every night from their balcony. What more can you ask for? 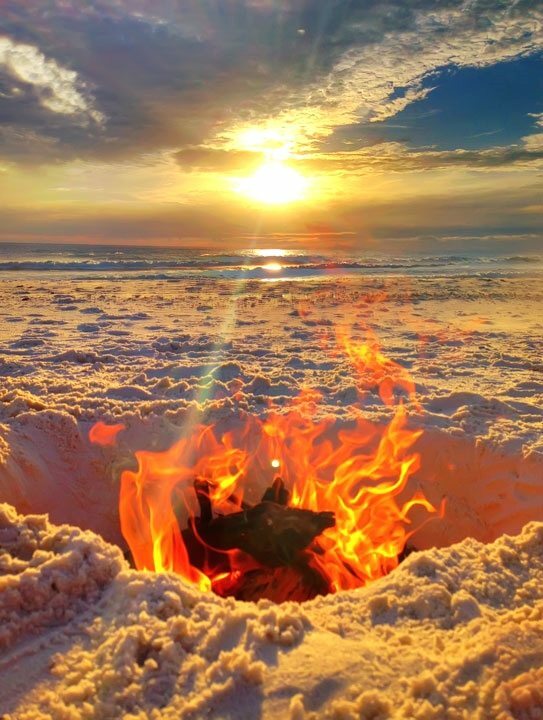 They even had themselves a little Beach Bonfire (which is allowed there) with all the works (meaning BEACH S’MORES). You just have to head over to their site here to see, and read all the detail of their beach experience with lots more pictures. 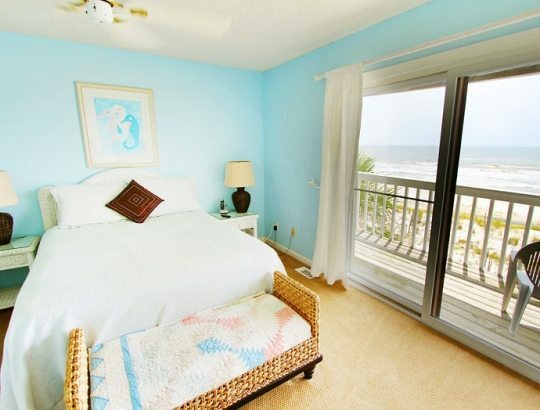 And to view more images of their beach condo at Pelican View, click here. Beautifu pictures. 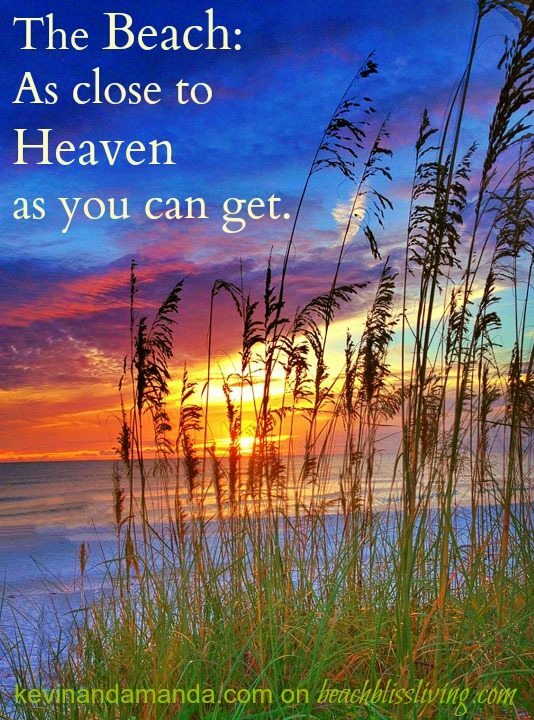 Cape San Blas is our favorite vacation spot. Love it! Thanks for letting me know. Love the site. Have a good night. It is really STUPID to bury that dog up to its head. Some people will maybe see this and TRY it. It could easily kill the dog. We had a child die on the beach here in Santa Rosa Beach. His friend buried him sitting up and to the neck in the sand..
Settle down! Those are two pampered pooches who were never in any danger. You should actually go read what happened before you criticize. 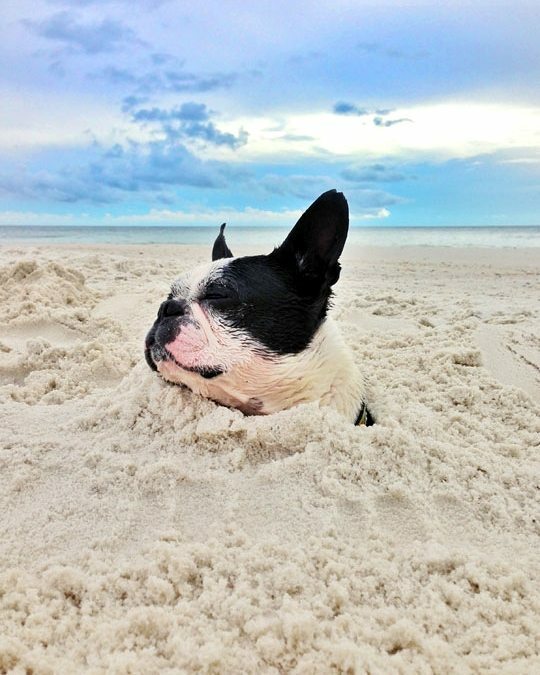 They dug a hole, because the dog had been digging in the sand, and the dog jumped in. He enjoyed them covering him in the sand, and they were right there with him. People bury their kids in the sand, too. It’s not a big deal. They had a lovely vacation and took some beautiful pictures. Good for them! There are children who don’t live as well as those dogs. I swear people look for the silliest things to find fault with.